Everything you need to know about the Dayton Flyers as they begin the NCAA tournament. 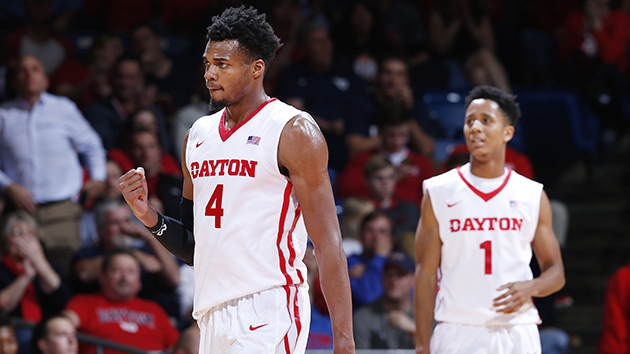 The Case For: Dayton has the ability to make some noise in this year’s NCAA tournament. The Flyers enter with an RPI rank of 22, the highest of any Atlantic 10 school and just two behind Duke. Dayton also boasts four double-digit scorers and a starting lineup entirely composed of junior and seniors. Guards Scoochie Smith and Charles Cooke, who is in his first year playing with UD after sitting out a year following his transfer from James Madison, form a formidable backcourt. Dayton has wins over tournament teams Iowa, Vanderbilt and VCU, and at one point this season won 15 out of 16 games in a row. Archie Miller's squad will be tough to score on, ranking 14th in adjusted defensive efficiency. The Case Against: Dayton is 160th nationally in adjusted offensive efficiency, which doesn’t bode well for its first-round matchup with Syracuse and its patented 2–3 zone. The Flyers are shooting 34.7% from three-point range this season, which is decent, but not exactly the type of effort that can bail them out if they fail to get production in the post. Dayton also shoots just 67.3% from the free-throw line collectively (276th in D-I), which could sink it in late, close games. Plus, not to jump ahead, but even if Dayton makes it past the Orange, No. 2 Michigan State more than likely awaits with national player of the year candidate Denzel Valentine, future Hall of Fame head coach Tom Izzo and a team perennially built for March.